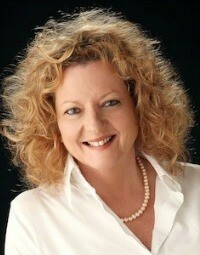 Vicki Bennett is an author, artist and corporate trainer. She has written 27 books. These include: I’ve Found the Keys Now Where’s the Car? I’ve Read the Rules, Now How Do I Play the Game? Signposts for Life, Life Smart, and The Effective Leader. She has also written, directed and co-produced a documentary, Never Forget Australia. Vicki Bennett Training has been providing training for three decades. Her programs have been adopted by many companies in Australia and internationally. All business is going through a quickening, a period where people choose to learn quickly and access global critical mass. Change begets accelerated change and growth, both globally and individually. Vicki delivers tools for teams to navigate this change and growth. Vicki has trained leaders and teams in corporate and government sectors. She is a highly energetic, inspirational presenter, offering skills and tools in a lively, fresh, courageous and thought-provoking manner. To be of service and to contribute to the marketplace by being a valuable catalyst for change and growth. She believes that to achieve our vision, we need to speak openly and honestly with others, go past the point of discomfort to solve problems, take responsibility for the experiences we create, be alert for opportunities whilst keeping our hearts open. Vicki has been awarded the prestigious Woman of Substance Award by the Girl Guides Association to honour her work with Guides and their Leaders as a trainer, mentor and author. Vicki is an inspirational, highly motivational presenter and brings unique skills into the training environment, through assisting others to tap into their natural abilities and bringing them to the surface.